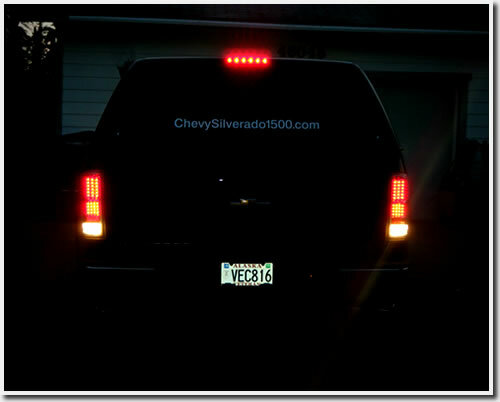 The taillights on the 2011 Chevy Silverado are the same as found on other Chevy Silverado's from 2007.5 & up. there are a number of options out there for totally custom L.E.D. taillight kits from bright chrome to totally blacked out. 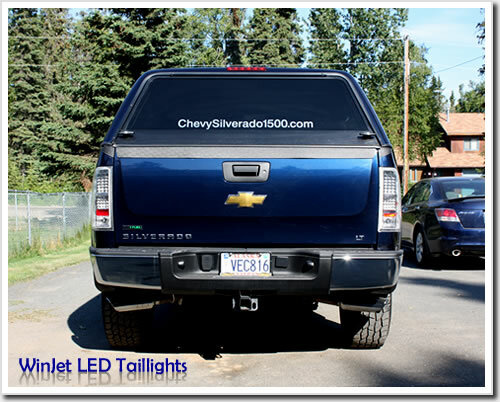 Most are direct replacements while others are conversions to your existing taillight housings. 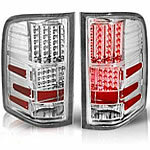 We will be installing a set of WinJet 2007-2011 Chevy Silverado LED Tail Lights with the chrome background and clear lenses. Check back for photos and installation comments. We chose these lights after shopping the net and reading through the many reviews on various websites. Due to our remote Alaskan location and a lack of aftermarket products available locally, we ordered these lights from Sonic Motor via the Amazon web site. 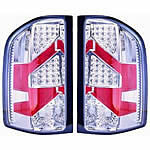 Check them out here WinJet 2007-2011 Chevy Silverado LED Tail Lights - (Chrome/Clear) . The prices is great and now that the taillights have arrived I can say they look even better then in the photos. LED taillights not only look great but there are other reason to upgrade to these low wattage bulbs too. LED's are much better at penetrating through fog, snow and indirect lights. LED's have a much faster on-time lighting up in less then 1 milli second vs 250 mili second for incandescent bulbs. LED's use less power, emits almost no heat and are resistant to shocks and vibrations.